Well, one of the benefits of being a Washington, DC wedding photographer is that you never know where your clients will choose to exchange vows. It was fortunate for me to be selected to capture Kelly and Glenn’s wedding day. It truly was a Capitol wedding. The weather could not have been more beautiful combined with the incredible history of the U.S Capitol as the backdrop. 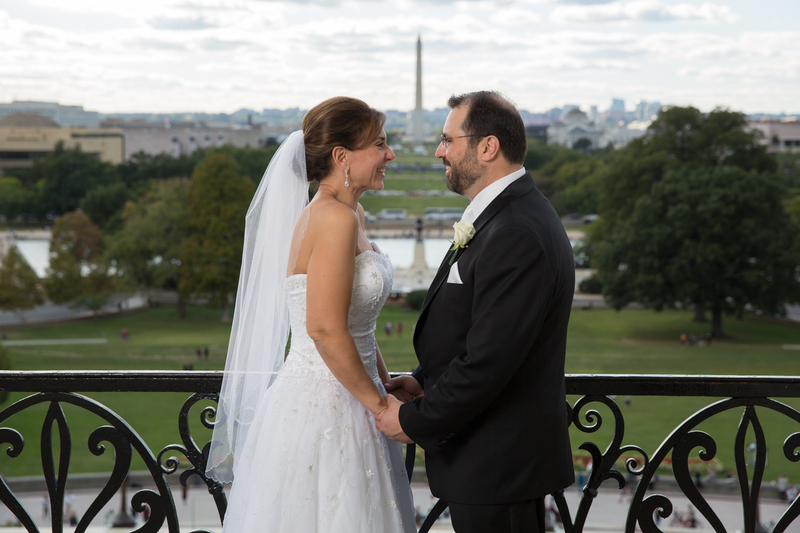 I had the opportunity to photograph the couple in several areas inside the U.S. Capitol as well as a classic shot on the steps outside with the dome as the background. After the ceremony we headed over to the George Washington Masonic Temple in Alexandria, Virginia for an evening reception that was energetic and enjoyable for everyone. I can’t thank Kelly and Glenn enough for their kind spirit and incredible fun and easy going personalities. I wish them both many years of happiness together!